← What are you known for? My own personal experience with what I think of as DevOps took a big leap about a year and a half ago when I moved from a product group in my organization to a development-oriented team inside our operations group. That transition both confirmed and challenged an observation I’d made years ago. My observation was that organizations are all on a track between two extremes. On the one extreme is the legendary “two guys in a garage” story. On the other is a Fortune 500 conglomerate, doing business in tightly-regulated industries. In that garage, Woz was free to design and innovate at will, and what he produced is now the stuff of legend. Apple, on the other hand, delivers a new product only after a monumental expense of time and resources. They still produce remarkable products – one cannot argue with the massive success of the iPhone and its successors. But how those products come to market is a far cry from that Homebrew Computer Club meeting in ’76. The critical piece of this observation is that all organizations move from the former end of the extreme to the latter. They may move at different rates, even coming to a stop for any length of time, but they never go the other direction. Let me repeat that: They never go the other direction. Let’s think about database backups as an example. Garage organizations may not do any backups at all. Then something gets lost, and perhaps a weekly full backup task is scheduled. The system grows and taking a simple full backup once a week no longer scales properly, so a better schedule is created, with more particulars about what is backed up, when, and how. This process keeps getting refined, until, one day, there is a standard procedure for performing backups, including off-site storage, regular testing of the restoration process, and all kinds of other aspects that operations people in Fortune 500 companies have to think about. Many of us are quick to claim that the Garage is better. We love the folklore around how Apple (and other companies like it) got started. We love to reminisce about those times that we turned caffeine into code and all was right with the world. It’s just something about being a coder. But that’s not universally true. Would your organization be better off without a good backup restoration procedure? The problem is that – good or bad – the processes pile on. Bad or obsolete procedures never get removed, just marginalized until they become an indistinguishable part of the Fortune 500’s ecosystem. I help administer a database that does not need to be backed up. Yes, that’s correct. It does not need to be backed up. Ever. It’s a data warehouse, of sorts, that is populated by a convoluted ETL process originating from log files. Due to both size and the diminishing value of old data, we only keep data in this database for a short time. If we were to lose the database, we would recreate the structures, and then “re-dump” the log files into the ETL source folder, and let the process churn through them again. That method of recovery would only take marginally more time than restoring from backup. By the way, for this database, the backup process itself is a serious drain on system resources. Getting our operations group to STOP backing up this database was an adventure, because of all of the procedures in place to ensure that every database was properly backed up. At one point, because it was causing a production issue, I disabled the backup job (thereby curing the immediate issue). For my quick thinking, I was rewarded with having my SQL Agent rights revoked. Anyway… the moral of my story is that the situation gets more complex over time. Once again, it never gets simpler. At least, that was my theory. To me, this is precisely the point of DevOps: The ability to go backwards on this track. Now, here’s the hard part. To do this – to move towards the Garage end of the track – takes people who understand what is important and what isn’t. You can’t trim excess process at whim. You have to know what should get trimmed and what shouldn’t. Because you’re removing processes that protect the organization and limit risk, you need smart and organized people who will do the right thing without a process directing them. DevOps is all about the people. It takes good communication. 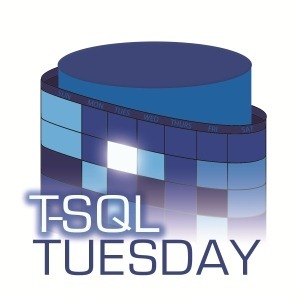 In his T-SQL Tuesday post, John Morehouse emphasized it with his call to “Start talking.” David Alcock joked about Dev and Ops going to “couples therapy” (and did indeed make a good point). But it’s not just good communication. It’s good people. For DevOps to work, DevOps people must be smart about what they do and don’t do. And then, if they’re successful, they’ll do what I didn’t think was possible – move from the Fortune 500 end of that track back towards the Garage. As long as they don’t get their SQL Agent rights revoked in the process. This entry was posted in Uncategorized and tagged productivity. Bookmark the permalink.